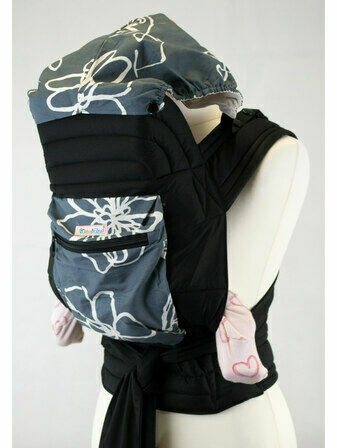 Carry your baby with ease using the Mei Tai With Hood & Pocket baby sling. This design features an earthy zebra print pattern, but can be reversed into plain black. Comfortable to wear, the sling moulds to your baby's delicate body, helping to minimise the risk of flat head syndrome. 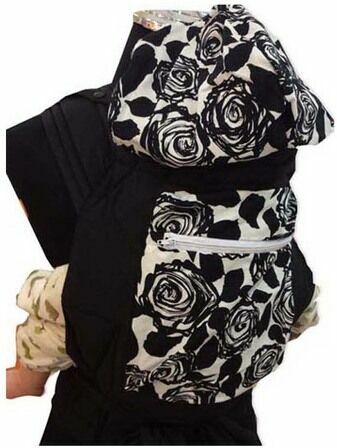 The hood is connected with 4 poppers which are on the outside of the sling and therefore are not in contact with your baby, making the sling perfectly safe. There is also a very handy pocket for added convenience. The Mei Tai is incredibly easy to put on and take off, and full instructions on how to tie it in three positions, “Front”, “Back”, and “Hip” will be sent with your sling. You can also watch our instructional videos below which show you how to tie and wear your new Mei Tai sling. 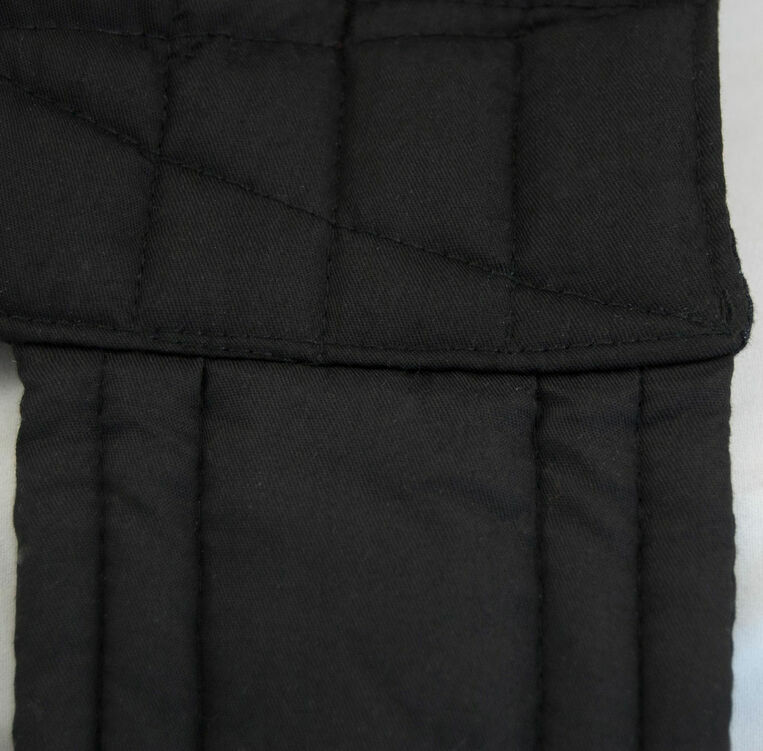 The waist strap is 180cm in length and each shoulder strap is 150cm. For more information on how to tie your Mei Tai Sling safely in different carry positions, please click here to view our guide. To discover more about attachment parenting and the benefits, click here. I have used this product with 2 children soon to be 3 and I love it. So easy to use and the shape makes it fool proof. I've recommended it lots! This Mei Tei carrier is one of the best carriers Ive owned. I have tried many and this is the one Ive fallen in love with and now use on a daily basis. The reason I only gave 4 stars is because I feel that it doesnt quite offer enough support to my babies head and neck. If she falls asleep, her head just sort of flops back and Im sure this must be a strain on her neck. Other than that this is comfortable and easy to use and I would recommend to anyone! Amazing sling but head support not really suitable for small babies. If you use hand to help support head can be used but we be awesome for older babies! Can't wait to use it when babe is a bit bigger! I received what I expected. Great sling, easy to wear and baby feels wonderful. It is soft and gentle to baby skin. I recommend it on 100%. Over the moon with this sling, it's so easy to use and my little one loves it. The design is gorgeous and I'm so glad I paid that little bit extra for the pocket and hood! I've no doubt I'll be back soon for more! Very good quality for price and delivery was very quick too. Me and my son love the sling it's so comfortable for me and him. Was bit nervous at first that that just tying it would hold him but it's so secure . Lovley quality for the price. Bought this as an easier sling to use by myself as my other is too complicated. Supports baby perfectly and it's very easy to use. I bought this carrier for my daughter to use with my five month old Grandaughter. She worries about the fit as she is on the larger side but this proved to be no problem...very generous fit for mum. The quality is great and the fabric very soft. The pocked and removable hood fantastic idea with the British weather. Very pleased with this purchase and can see it being used for many months. This is a lovely sling. Comfortable and colourful. My six week old loves it. The only negative thing that we've found is that the straps are quite long and need tying out of the way. Have suggested website to a friend as we were very pleased with our purchase. I was looking for a light weight comfortable carrier for around the house. This is perfect!! It's light weight easy to use and comfortable. My baby is 8 weeks, it supports him nicely. I have a stronger carrier for outdoors and for longer periods. I can see myself using this carrier for a long time as it will support a babies weight for a lot longer than a stretchy wrap or sling. Brilliant price, super fast delivery. Very fast despatch of my item. Have not used yet but it's very good quality, nicely padded so it looks like it will be very comfortable when little one goes in it. Little hood for rainy or sunny days, handy little pocket on front for keys, phone etc. Very pleased with it. easy to use, good value for money, and nice quality. I was hiring a sling with clips but this is probably better, can tie it as tight as i want to. just wish i had bought it earlier. if i had one moan - the fabric lengths to tie the sling on are extremely long. Easy to put on and take off, solid material, comfortable to wear. I would recommend to someone who struggle with a wrap but still want to carry baby safely and securely. Fast delivery. Very pleased. I bought this sling as I wanted something easier to put on than my wrap, and also didn't want to spend out on an expensive buckle carrier. It's incredibly comfortable and easy to wear. My 4 month old has been very happy in it also! Delivery was quick and the sling is well made. Unfortunately I just could not get the hang of this sling. I previously had another that was just like a long piece of material that you had to wrap round your body. It was just too much of a faf and i had to to return that. I thought the mei tai would be an easier option but i just could not get it to sit comfortably on my body. My baby also didn't seem to like it. I had high hopes for this but unfortunately I will have to return it. I don't think it's a bad product but just not suited to my body shape or something. Absolutely love our new baby sling! I wanted one with a hood for the school run as carrying an umbrella just isn't easy with everything else going on. This works perfectly! It's so comfy and easy to put on alone. I love the fact my baby stays where she's supposed to and it doesn't slip down like some other slings we have. The price is fantastic especially compared to a lot of other slings we looked out. Definitely 10/10 for us and couldn't recommend enough. The quality of the fabric is great too padded in all the right areas and love all the different designs to pick from! 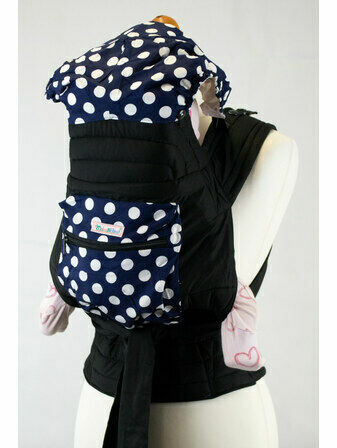 Thanks Daisy Baby Shop for making our life's a whole lot easier and in style and comfort too! I bought this sling to use with my 4 month old baby and I love it. I have used several slings and found this to be comparable in comfort to the much more expensive buckle slings. My baby loves it and easily falls asleep in it. 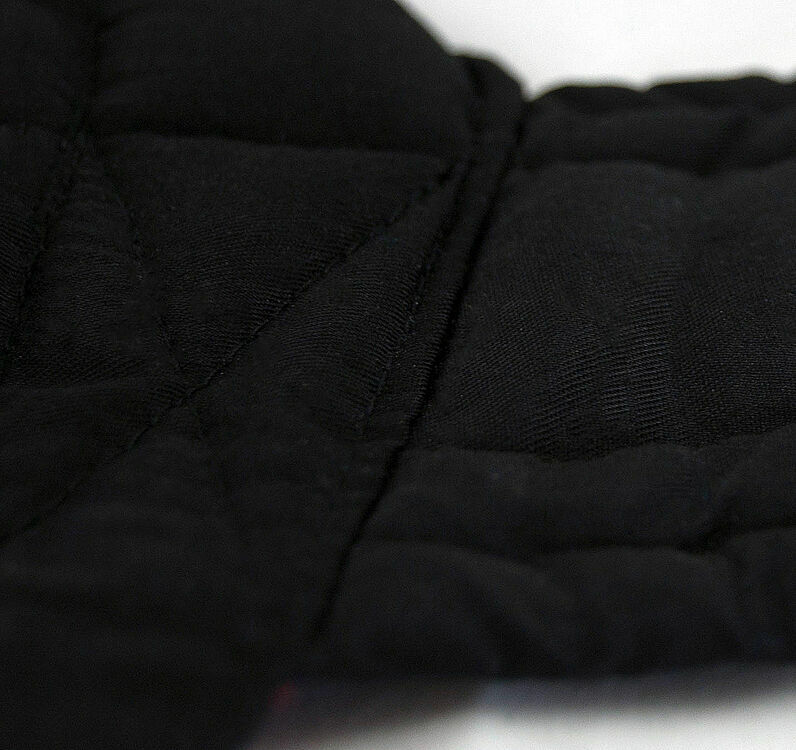 The pocket at the front is extremely useful for keys, muslins etc. I wanted something I could use to go out walking with and have been able to wear it for 3miles no problem, though there is a bit of a knack in getting it tight enough to get the right support. Excellent product, as described and fantastic speedy delivery! I wasn't intending on using this sling to also breastfeed with but somehow I managed it because I really wanted some dinner and needed free hands! It's a great sling, good looking, soft and comfortable with nothing to did into our little one. I love the hood, great for sunny and rainy days. It's extremely well priced, I've already recommended it to all my Nct friends. Great product, love the hood! This carrier is better than i expected. Its flexible, padded and comfortable. It feels well made and my little one feels safe and secure. The instructions are clear and foolproof. I'm very impressed. I am very happy with my sling. It was easy to learn to use and very comfortable. I am able to get my girl in it quickly, which is important when she's screaming the house or store down. :D I'm recommending this to all my friends. It shipped to Finland quickly and without any hassle or extra shipping fees. Bought this carrier to carry my 20 month old on my back instead of always needing to use my structured back pack carrier. So far have used it to carry him on my front (asleep and awake) and on my hip. Managed to get him it myself. Very supportive even with a toddler wriggling in it - will need a little practice to get it tighter but was safe and secure first time. Instructions very clear! A good quality sling. More comfortable than a carrier we had previously. Baby seems 2 like it too. Nice design. Not sure what hood is for as it doesn't appear to be waterproof. Overall a good buy. Seems like a good product with a handy hood. 3 weeks old baby fits in with froggy legs and was quite comfortable. Looking forward to using it. 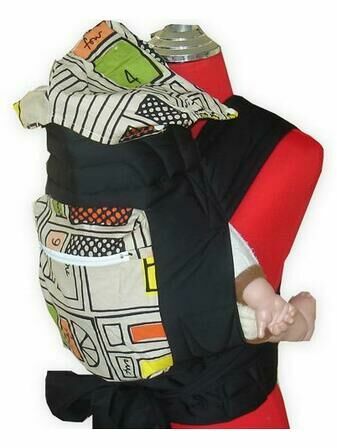 Love this wrap/carrier hybrid, bought for my 12 month old and wish I had thought to purchase sooner, have used both stretchy and woven wraps thus far and found this to be so much easier especially for a back carry!! Would recommend to anyone as price, choice and quality outstanding. I actually changed my order to a blue with white spots and it's a really nice pattern. I'm really pleased with the whole thing. Im still getting used to the tying and I prefer it if I have a hand free to support baby but it's really not necessary I dont think and Im sure in time, I will feel more confident about the whole thing. I am a bit new to the whole sling thing! Bought the MeiTai for a newborn as she wasn't comfortable in a baby bjorn and it took a while to get used to tying up the Mei Tai but she now settles beautifully in it and I find it very comfortable to wear. Fantastic hard-wearing slin. I feel safe & secure carrying my newborn & know it will last until she's bigger. Great having a pocket & hood to shield her from the sun. Just wish I had bought it when I had my son. I am very happy with the Mei Tai it arrived very quicky and is really good quality. It hasnt took me long to get used to putting it on and off the instructions that came with it were very clear. If i was to be picky it could do with a bag to store it in as it becomes very messy with the long straps trying to fold it neat is a nightmare but that is me finding something to improve it. I ordered this carrier after trying numerous others (moby, ring sling, pouch sling), none of which my baby would settle in or I felt comfortable wearing. The babybjorn we have is great but a bit bulky for around the house and hard to get on and off whilst also holding baby when alone! This mei tai is fantastic. 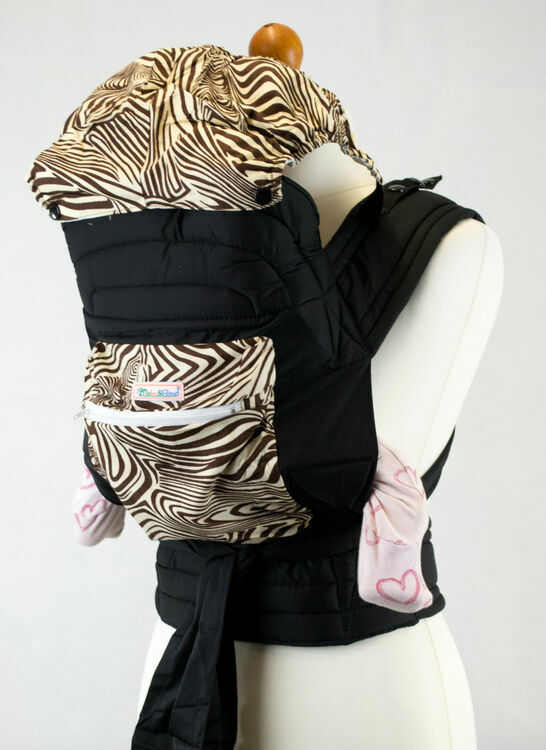 It is so easy to put on (no help needed at all) and my baby immediately settles in both the front and side carry positions (I have not tried back carrier yet). It is very comfortable to wear, packs away small to fit in the changing bag and the hood and pocket are brilliant additions for when out and about. It looks great too. I could not be happier with this product. It is everything I hoped for and delivered super quick even though we live outside the UK. Thank you Daisy Baby! I bought this as I couldn't get on with a Baba sling, this was half the price but ten times easier to use and it looks great too! I liked the fact I could choose from several different designs and the hood will give extra protection against the weather. My baby falls asleep easily in the sling and it's comfy to wear. I'm very pleased with it, wish I knew about it from the beginning. The deliery of it was very quick and I was kept well informed. I bought this Mei tai sling and it arrived promptly, it is well made and comfortable to wear! For this reason it's really great value & I'd definitely recommend for a quick, easy way to carry baby!! The mei tai is pleasing to the eye and also good quality. My partner found it easy and comfortable to use and he is a total novice to babywearing. The fact it reverses to plain black is great as my partner wanted a more 'manly' carrier. Areived quickly, looked lovely, washes well and little one loves it. Very impressed with quality of the MEi tai I ordered. The material is nice and soft and both baby and I love it! Quick delivery. Would defo purchase from this shop again! I really like this carrier. It's very comfortable as it keeps my baby so close. Really easy to use and I get lots of compliments on the design. The straps are quite long and sometimes drag on the floor when I'm putting it on, but they are easy to put on and it feels very secure. Delivery was extremely quick, I ordered the item at 5am friday morning and it was here in the Saturday post. The product is very comfortable for me and baby and also is very secure. I love it!! Very pretty, very comfortable to wear and easy to use. An ideal cross between a wrap and a structured carrier and at a great price. My favorite baby wearing purchase and nice and light for the summer. Love that i have a matching breastfeeding cover up. This baby Carrier is a good product with a small price. Just a negative point, the straps at the top are a little too short. Because I ordered this over the Christmas holiday I expected a bit of a delay, but it was dispatched immediately! The Mei Tai is very well made. We bought it to use on our second baby which hasn't arrived yet so we tried it out on our 3.5 year old (33lbs)! Amazingly it worked brilliantly with him and he felt light and comfortable in both front and rear carry, it even fitted comfortably around a 9 month baby bump! Even grandma who didn't think she'd be able to carry a big preschooler found she could comfortably carry him in both rear and front carry with this sling. Much easier to use than I thought too. All three carries are very easy to get the hang of. We are very much looking forward to using this sling on our new arrival. Thank you Daisy Baby.